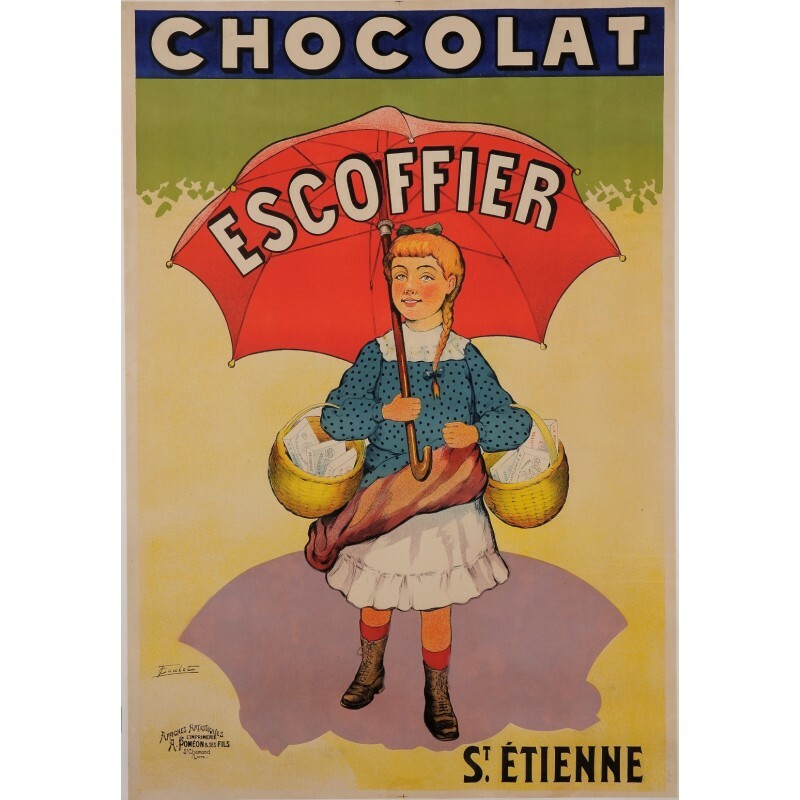 A charming poster realized by T. Coulet, advertising the famous chocolate brand "Escoffier". 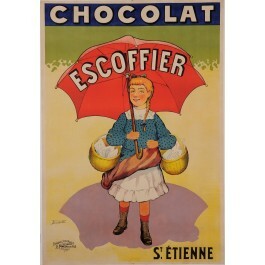 The young girl with the umbrella is carrying two baskets full of this fine chocolate and distributing them all over town. 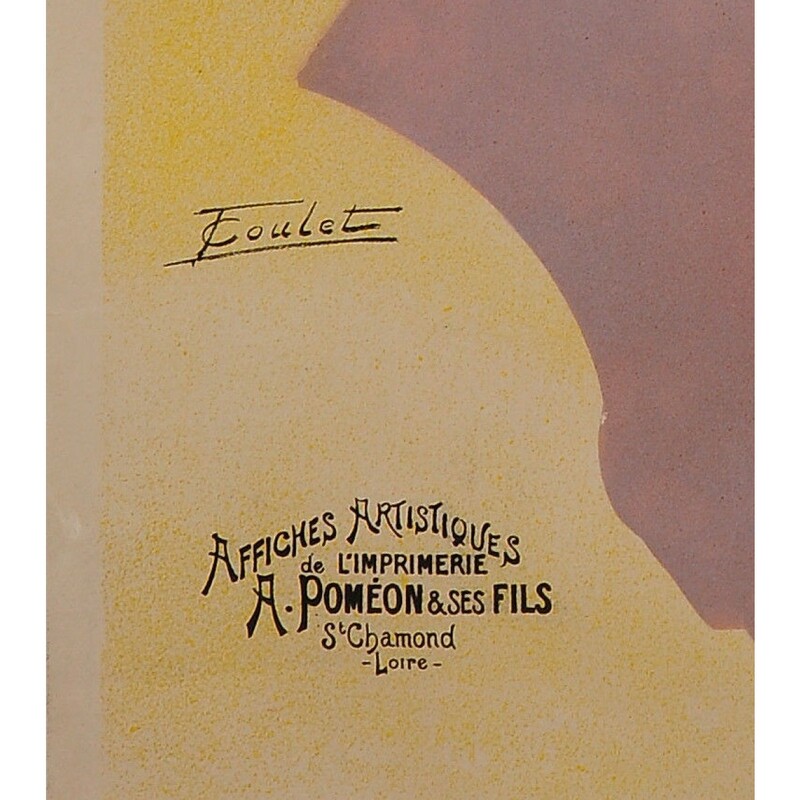 The shadow that the umbrella cast is quite fascinating.